Home Facts vs. Misbeliefs A (Partial) History of Vitamins – Are Supplements Necessary? A few years ago, an article published in The Atlantic investigated whether or not taking extra vitamins was actually good for your health. This same question appeared in other news outlets strewn about the internet, all with catchy headlines associating multi-vitamin consumption to a decrease in lifespan. There is no argument that vitamins, polyphenols, minerals and other micronutrients are absolutely necessary for healthy physiological function. Inverse correlations exist between lower disease and cancer rates and high fruit and vegetable consumption. In 2015, the Lung Cancer Cohort Consortium concluded that vitamin B6 deficiency is associated with a moderate increase in lung cancer risk. It is also hailed for its ability to help combat symptoms in women suffering from pre-menstrual dysphoric disorder (PMDD) and severe pre-menstrual syndrome (PMS). Folate is absolutely essential for pregnant women to prevent birth defects such as spina bifida. 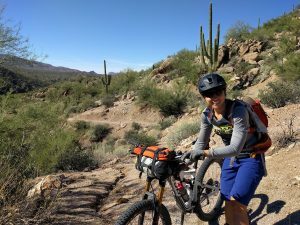 In addition, for extreme athletes or those under excess physiological stress, micronutrients are extremely valuable to maintain health and stave off illness due to alterations in metabolism and loss through sweat. But in healthy adults, the role of micronutrients may differ. Animals eat food, not individual constituents. When derived from food, and when consumed at appropriate levels, these micronutrients do what they are proclaimed to do: maintain health. Life fuels life. For example, the balance and construction of what comprises a tomato synergistically feeds the consumer and the energy is passed on. This cannot be duplicated in a pill constructed based on recommended daily allowances (RDAs). Absorption rates are altered and synergistic biological interplay between food constituents is lost. As an additional supplement to a food-based diet in healthy adults, the dose makes the poison. Some Basic Biochemistry. Vitamins are a group of essential compounds that cannot be synthesized by the body and therefore must be obtained from the diet. They are divided into two classes: water-soluble, and fat-soluble. Because fat-soluble vitamins are stored in the body, they do not need to be consumed on a daily basis. 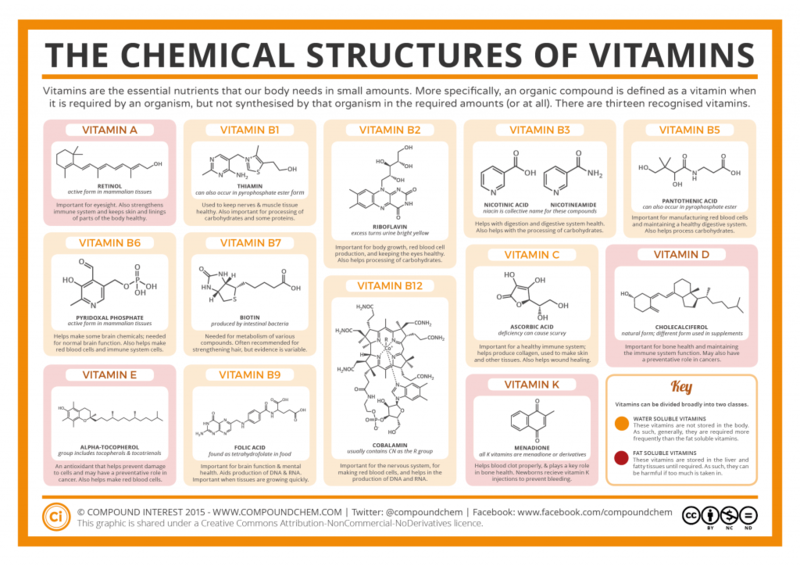 And just because these compounds are grouped together as vitamins does not mean they are structurally related. Each type of vitamin has its own properties and specific function in the body. Some are antioxidants, some are used in various stages of metabolism, others are essential parts of enzymatic structure, and some are hormone precursors. Click to enlarge. Copyright Compound Interest 2015. The War. In 1896, proclaimed biochemist Sir Frederick Gowland Hopkins came up with what we now call the “vitamin theory.” He hypothesized that there were unidentified, organic items contained within food aside from carbohydrates, fats and proteins, that were essential to life. Many studies led him to develop this line of thought. After Louis Pasteur developed the germ theory in the mid-1800’s, the foundation of infectious disease understanding began to solidify. But, unbeknownst to scientists at the time, illnesses such as scurvy, rickets, and beriberi all stem from vitamin deficiencies, not viruses or bacteria. During the Franco-Prussian War, the French chemist Jean Baptist Dumas associated the increased death rate of infants and children to the inability to obtain milk due to supply chain cut offs to the French countryside. In 1912, Hopkins continued Baptist’s milk-related investigations, only to conclude that there were micro-amounts of “accessory factors” necessary to sustain life contained within highly nutrient-dense foods. Fast forward a bit to the 1920’s and 30’s. 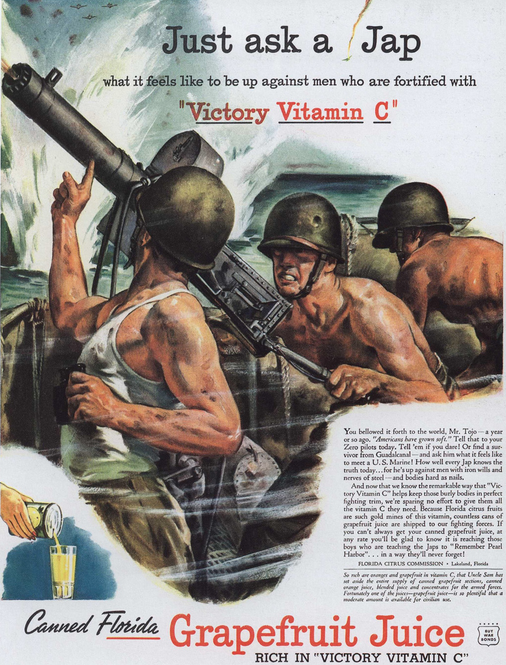 Using some of the outcomes of previous milk study, pharmacists and industry alike pushed for the use of supplemental vitamins to help create the strongest possible military and secure a win in World War II. General Mills, the Mayo Clinic and One-A-Day were among the motivators. This idea went against what the US Food and Drug Administration stated – that there was no substantive evidence to support supplementation and increased performance, and a healthy balanced diet was enough to sustain good health. Yet vitamin consumption was now publicly associated with increased strength and stamina. They were everything our Soldiers needed to beat the enemy. Associations were made between diet deficiencies and weaknesses seen in the Germans in WWI, and Japanese during World War II (vitamin B1 in particular). In the 1930’s, foods, such as flour and cereal, were therefore enriched, as many began to believe the common food-based diet was overall inadequate, and supplementation of any facet was the solution. Why the Hype? 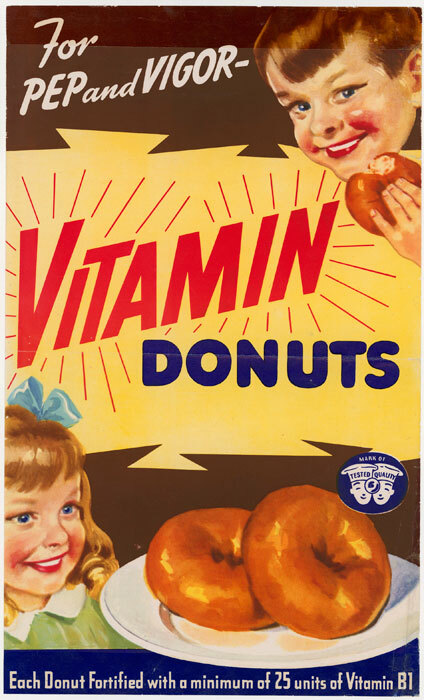 Think about how much money the food industry sops up from labels such as, “Now with added Vitamin C!” And despite all of the information that discusses adverse effects of vitamin overconsumption, does this marketing ploy continue today? It certainly does. Linus Pauling and Vitamin C. Linus Pauling was a winner of two Nobel Prizes, in two unrelated categories. Pretty impressive. He was famous before he was famous, and because of that, what he published, people believed. This is typically how it goes, but sometimes the blind lead the blind, credentials aside. To the regulars, Pauling is most known for his discovery of vitamin C and it’s use in the prevention of the common cold. In fact, he took upwards of 18,000 mg per day he believed in it so much. To quickly comment on that, the current RDA is 90 and 75 mg/day (men and women, respectively). An absolute minimum of 10 mg/day is necessary to prevent total somatic deficiency, and even this takes several weeks. Vitamin C is important for the synthesis of collagen, a connective fiber that is used to provide structure and hold tissues together, such as our skin. It is also an antioxidant, along with vitamin E, combating reactive oxygen species (ROS) produced by stresses such as exercise. According to the National Institutes of Health Office of Dietary Supplements, our body cannot efficiently absorb anything over 1 g per day. This leads into the problem. Because of Pauling, it’s very, very common to believe that taking extra vitamin C will prevent the onset of a cold, or at least ease the symptoms. Unfortunately, the current scientific community does not reach the same consensus (and they didn’t before Pauling declared this, either). Several placebo-controlled studies have shown no additional benefit of consuming 200+ mg of vitamin C in the prevention of a cold after the onset of symptoms. There has also been some tout for it’s use in cancer prevention, but overall, no consensus has been reached, some studies showing no effect of C on cancer. More is Not Always Better. There is a poor-diet epidemic in the U.S. So, what if the people supplement their poor diet with a multivitamin or something similar? Chocolate cake is still chocolate cake, and butter still contains a lot of fat. Based on the introductory claim where vitamins increase the risk for mortality, are the unhealthy eaters’ risk of death increased by their not-so-good eating habits, or from the supplements? Just because unhealthy foods are fortified or supplemented with a pill does not make the food any different. It’s safe to conclude that most cases of micronutrient toxicity stem from the use of supplements. Because fat-soluble vitamins are stored in the body, any extra can cause an excessive build up in adipose tissue. The deleterious effects of this can lead to hypercalcemia, diarrhea, birth defects, vision alterations, liver damage, and even death. Furthermore, just because water-soluble vitamins are not stored does not mean any excess will pass through the body and be excreted in urine without issue. Excess consumption will lead to kidney stones, liver damage, diarrhea, skin lesions and other issues with the nervous system. β-carotene supplements increase lung cancer risk. In 2003, the U.S. Preventive Series Task Force (USPSTF) recommended against the use of β-carotene supplements due to several studies that supported their association with increasing the risk for lung cancer. No effect of vitamin supplements on CVD or cancer risk. To follow up a request by the USPSTF for further investigation on the role of vitamin supplementation in chronic disease risk, a 2013 study published in the Annals of Internal Medicine looked at the role of vitamins in the prevention of chronic diseases and cancer. They reviewed several trials analyzing single or paired nutrients, with a total subject count coming to 324,653, plus two, separate large-trials totaling an additional 27,658 men and women. They found no effect of multi-vitamins on CVD disease risk or mortality. They also found little consistent evidence regarding all-cause mortality, CVD or cancer risk, and intake of vitamins A, C, D, folic acid, selenium or calcium supplements. They found no effect of vitamin E supplementation on the same outcomes. They found evidence that supplemental β-carotene increases risk for lung cancer, supporting the aforementioned USPSTF recommendation. Vitamin E increases risk for prostate cancer. The current consensus regarding vitamin E supplementation and cancer states that it is not beneficial in generally healthy populations. Studies have analyzed the effects of vitamin E on breast cancer in postmenopausal women, colon cancer in women, and have included large cohort studies such as the Nurses Health Study. In fact, in 2001, the placebo-controlled SELECT trial followed 35,533 men for 7-12 years, investigating whether or not supplemented, synthetic vitamin E affected the risk of prostate cancer. After the trial completed, a follow up concluded that supplemental vitamin E (400 IUs) increased risk of prostate cancer development by 17%. Vitamins C and E have no effect on overall cancer risk in men. A post-trial follow up to the Physician’s Healthy Study II (a randomized, placebo-controlled trial that followed 14,641 male physicians from 1997 to 2007) analyzed the effects of vitamins E and C on overall cancer risk. The men either took a vitamin E supplement, vitamin C supplement, or respective placebos, for 10 years. The follow-up concluded that neither vitamin C nor E had an effect on site-specific or overall cancer risk. Natural vitamin E supplements decrease CVD mortality in women. To stay on the vitamin E bandwagon for a minute, the HOPE and HOPE-TOO trials found that women over the age of 45 who take supplemental, natural (not synthetic) vitamin E may decrease their risk of cardiovascular-related death by approximately 24%. Synthetic folate (folic acid) increases risk of breast cancer; natural folate decreases risk. Investigators analyzed data from the Women’s Circle of Health Study (a case-control study) to see whether or not vitamins B6, B12, folate, and methionine had an effect on breast cancer development in African American (AA) women and European American (EA) women. These four micronutrients are utilized in DNA methylation reactions and repair. For AA women, natural food folate consumption was inversely associated with breast cancer risk, but had no affect on risk for EA women. Synthetic folate from fortified foods was positively associated with breast cancer risk in EA women. High methionine intake had an inverse relationship with breast cancer risk in both groups of women. Vitamin B may increase risk of cancer for diabetics who suffered a previous stroke. Among 8,164 patients with a recent stroke or transient ischemic attack (TIA), 3.4 years of B-vitamin supplementation had no effect on decreasing cancer risk or cancer mortality among those without diabetes, compared to a placebo. However, risk of cancer was increased among diabetics taking the vitamin B supplement. It is clear that in some cases, the jury is still out. But regardless of the muddy science, nothing can replace food, and more so, a healthy diet. P.S. Consumption of antioxidant supplements has been shown to have a negative impact on training adaptation, which is discussed in further detail in our article, Antioxidants and Training – Friend or Faux? Apple, R. D. (2013). 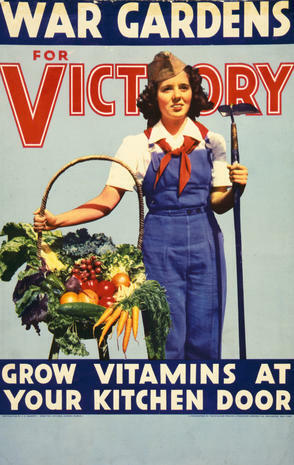 9 Vitamins win the war: nutrition, commerce, and patriotism in the United States during the Second World War. Food, Science, Policy and Regulation in the Twentieth Century: International and Comparative Perspectives, 10, 135. Fanidi, A., Muller, D. C., Prentice, R., Demetrius, A., Yuan, J. M., Stevens, V., … & Lung Cancer Cohort Consortium. (2015). Circulating biomarkers of B vitamins in relation to lung cancer risk in the Lung Cancer Cohort Consortium. Cancer Research, 75(15 Supplement), 933-933. Fortmann, S. P., Burda, B. U., Senger, C. A., Lin, J. S., & Whitlock, E. P. (2013). Vitamin and mineral supplements in the primary prevention of cardiovascular disease and cancer: an updated systematic evidence review for the US Preventive Services Task Force. Annals of internal medicine,159(12), 824-834. Gong, Z., Ambrosone, C. B., McCann, S. E., Zirpoli, G., Chandran, U., Hong, C. C., … & Lu, Q. (2014). Associations of dietary folate, Vitamins B6 and B12 and methionine intake with risk of breast cancer among African American and European American women. International journal of cancer, 134(6), 1422-1435. Hankey, G. J., Eikelboom, J. W., Yi, Q., Lees, K. R., Chen, C., Xavier, D., … & Gommans, J. (2012). Treatment with B vitamins and incidence of cancer in patients with previous stroke or transient ischemic attack results of a randomized placebo-controlled trial. Stroke, 43(6), 1572-1577. Hawk, A. (2006). The Great Disease Enemy, Kak’ke (Beriberi) and the Imperial Japanese Army. Military medicine, 171(4), 333-339. Nelson, D. L., & Cox, M. M. (2012). Principles of biochemistry. Macmillan Higher Education. Prentice, R. L., Pettinger, M. B., Jackson, R. D., Wactawski-Wende, J., Lacroix, A. Z., Anderson, G. L., … & Datta, M. (2013). Health risks and benefits from calcium and vitamin D supplementation: Women’s Health Initiative clinical trial and cohort study. Osteoporosis International, 24(2), 567-580. Semba, R. D. (2012). The discovery of the vitamins. Int J Vitam Nutr Res,82(5), 310-5. Thompson, J., Manore, M., & Vaughan, L. (2013). Science of Nutrition, The: Pearson New International Edition. Pearson Higher Ed. antioxidants, cancer, CVD, supplements, training, vitamins. Bookmark.